ZVISHAVANE - The Zvishavane Lions Club last week Saturday extended a helping hand to the needy by donating food and other basics to inmates at the local Jairos Jiri home. Speaking at the event, Lions Club district 412A governor, David Saunyama said social responsibility in the form of giving back to the community was part of the club's core objectives. 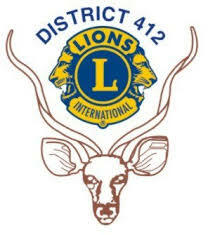 "We as Lions Club know that our duty is to serve the community. We have identified areas and groups of people who are in need and Jairos Jiri was identified as one such institution that requires a helping hand," said Saunyama. Jairos Jiri Zvishavane acting director, Nomatter Chagwinya expressed gratitude for the generous gesture, saying what the club had done should inspire others to help. "We struggle to find enough food for the people we look after. There is also a severe lack of medication and other basics due to lack of money. I would like to thank the Lions Club for coming to our rescue. With the staff they have donated, we can go for days," said Chagwinya. She later told TellZim News that the Zvishavane Jairos Jiri home was running poultry projects that were helping to meet some of the institution's dietary needs as well as to raise money for other necessities. The institution, which was opened in 1977, has Nyarayi Mashavidze (105) as the oldest female inmate while James Romani (70) is the oldest male inmate. Another female inmate, Rebecca Jakata (95), said as an elderly person, there were few things that were as critical to her wellbeing as medication. "Medication is what we need every day so we thank Lions Club for bringing that to us. Our days will be better this time around," said Jakata.